Dealing with debt settlement firms can prove a risky practice. Sometimes, such firms and companies promise more than they can provide to their clients. Some of your lenders may also avoid working with the debt settlement firm you chose because, in many situations, the debt settlement firm may not pay your debts entirely or in time. The firms often claim they can negotiate with your lenders to lower the amount you owe, and they charge high fees. Another common practice is such companies usually encourage you to stop paying the credit card bills. In such instance, you will incur late fees, interest rates penalties, and collectors are likely to intensify their actions against you. Unless the debt settlement firm pays off all your debts, the penalties and fees that accumulate over time can finally prove to be even higher than the debts settled by those companies. Thus, your credit rating can be negatively affected by the services of such companies. Your chances to get a credit in the future will be considerably lower. You can have tax consequences for debt relief. 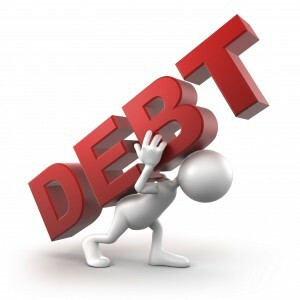 If the creditor writes off part of your debt, it could be regarded as the taxable amount. You may want to consult a tax advisor or tax attorney to know how it affects your federal income taxes. The debt settlement process can also leave some individuals more indebted than before starting the settlement. Most debt settlement firms will propose you to stop paying off the debts. The reason behind it is to make creditors negotiate and charge the necessary funds for liquidation. This can have a big negative effect on your credit score and can determine the lender or collector to file a claim against you. If you cannot afford making the monthly payments on the credit card, late fees will be added along with the interest rate of your debt. Additional charges and fees may apply in case you exceed the credit limit, so your debt is likely to increase. If you choose to go for a debt settlement firm, they might tell you load some money into a separate bank account. A third party will manage that account. However, fees may apply. An alternative to debt settlement firms is another type of service, the non-profit consumer credit counselling. These non-profits try to work with you and your creditors to develop a debt management plan that you can afford, and that can help you get out of debt. Additionally, such firms provide financial assistance and develop a budgeting scheme. Along with the aforementioned guidelines, you may want to consult a bankruptcy lawyer, has the necessary knowledge and calcification to offer alternatives and options according to the law.